Peter Senge received a B.S. in Aerospace engineering from Stanford University. While at Stanford, Senge also studied philosophy. He later earned an M.S. in social systems modeling from MIT in 1972. He also earned a Ph.D. from the MIT Sloan School of Management in 1978. He was the Director of the Center for Organizational Learning at the MIT Sloan School of Management, and is presently (2005) on the faculty at MIT. He is the founding chair of the Society for Organizational Learning (SoL). This organization helps with the communication of ideas between large corporations. It replaced the previous organization known as, The center for Organizational Learning at MIT. He has had a regular meditation practice since 1996 and began meditating with a trip to Tassajara, a Zen Buddhist monastery, before attending Stanford. He recommends meditation or similar forms of contemplative practice. 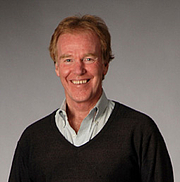 Peter Senge is currently considered a "single author." If one or more works are by a distinct, homonymous authors, go ahead and split the author. Peter Senge is composed of 10 names. You can examine and separate out names.